This post is a write-up of the talk I gave at Strata London in May 2015 called “Sharing humanitarian data at the United Nations“. You can find the slides on that page. 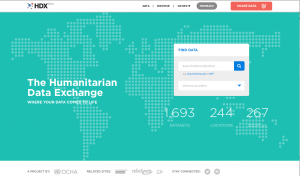 The Humanitarian Data Exchange (HDX) is an unusual data hub. It’s made by the UN, and is successfully used by agencies, NGOs, companies, Governments and academics to share data. They’re doing this during crises such as the Ebola epidemic and the Nepal earthquakes, and every day to build up information in between crises. There are lots of data hubs which are used by one organisation to publish data, far fewer which are used by lots of organisations to share data. The HDX project did a bunch of things right. What were they? HDX started with user needs research. This was expensive, and was immediately worth it because it stopped a large part of the project which wasn’t needed. The user needs led to design work which has made the website seem simple and beautiful – particularly unusual for something from a large bureaucracy like the UN. When making a hub for sharing data, there’s no need to make something from scratch. Open Knowledge’s CKAN software is open source, this stuff is a commodity. 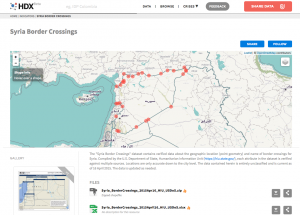 HDX has developers who modify and improve it for the specific needs of humanitarian data. HDX is a great international team – the leader is in New York, most of the developers are in Romania, there’s a data lab in Nairobi. 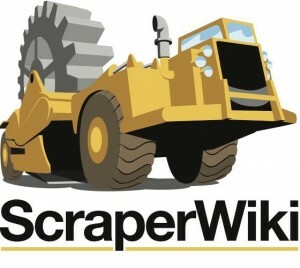 Crucially, they bring in specific outside expertise: frog design do the user research and design work; ScraperWiki, experts in data collaboration, provide operational management. HDX’s metrics are about both sides of its two sided network. 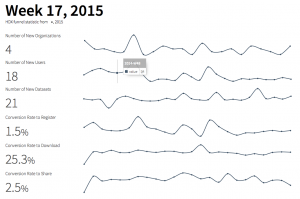 Are users who visit the site actually finding and downloading data they want? 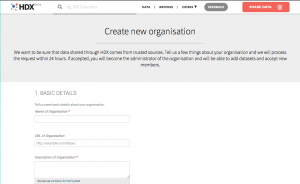 Are new organisations joining to share data? They’re avoiding “vanity metrics”, taking inspiration from tech startup concepts like “pirate metrics“. There are endless features you can add to data hubs – most add no value, and end up a cost to maintain. HDX add specific things valuable to its community. For example, much humanitarian data is in “shape files”, a standard for geographical information. HDX automatically renders a beautiful map of these – essential for users who don’t have ArcGIS, and a good check for those that do. The early user research showed that trust in the data was vital. For this reason, anyone can’t just come along and add data to it. New organisations have to apply – proving either that they’re known in humanitarian circles, or have quality data to share. Applications are checked by hand. It’s important to get this kind of balance right – being too ideologically open or closed doesn’t work. The detail of how a data sharing project is run really matters. Most data in organisations gets lost, left in spreadsheets on dying file shares. We hope more businesses and Governments will build a good culture of sharing data in their industries, just as HDX is building one for humanitarian data. ← GOV.UK – Contracts Finder… £1billion worth of carrots!